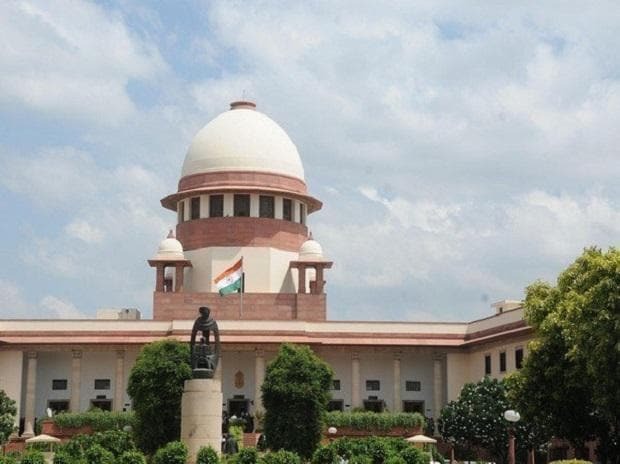 The Supreme Court has ordered status quo to be maintained with respect to the 40 acre land leased to Guruashish Construction by Maharashtra Housing and Area Development Authority (MHADA) and will next hear the matter on February 13. The apex court was hearing a petition moved by the Resolution Professional (RP) of Guruashish Construction. The company was admitted into insolvency in July 2017 for failing to pay debt worth nearly Rs 250 crore to Union Bank of India. The RP of the company had pleaded for a moratorium on the land that was leased to it by MHADA. The plea was however rejected by both National Company Law Tribunal (NCLT) and National Company Law Appellate Tribunal (NCLAT), following which the RP approached the top court. The land in question was leased to Guruashish Construction, an arm of arm of Housing Development & Infrastructure Limited (HDIL), for building and redevelopment of nearly 3000 flats. Of these, while 672 flats were to be built for rehabilitation of MHADA tenants living in Patra Chawl, Guruashish was free to sell the rest of the flats without any interference from the authority. Owing to delays in the project, MHADA had terminated the joint development project agreement it had signed with Guruashish Construction. MHADA had also seized nearly 10 acres of land back following an order of the Bombay High Court. The rest of the land could not be taken back as Guruashish had already sold it to other developers. Following complaints from some of the tenants, the Economic Offences Wing of Mumbai Police had also registered a case against the directors of HDIL and Guruashish Construction for duping flat owners. It is alleged that HDIL and Guruashish Construction took booking amounts from home buyers and promised to provide them flats within a timeline. The builder, the home buyers had alleged, neither gave them the flats nor refunded them money. HDIL, once among the biggest construction companies in India, is facing litigation from several lenders. The company has already avoided insolvency twice by reaching settlements with banks. In the first instance, it reached a settle with Andhra Bank, which had dragged HDIL to NCLT for failing to clear dues worth Rs 49 crore. The application was withdrawn by the bank after the two parties reached a settlement. Other than Andhra Bank, it was also dragged to NCLT by Bank of India which sought to recover nearly Rs 510 crore from the construction major. The two parties, however, reached an arrangement on terms of re-payment, following which the bank withdrew its application. The company also had to reach a one-time settlement with IDBI Bank in order to avoid the sale of a chunk of its land. IDBI Bank had in March last year said that it would sell a parcel of land, at Vasai in Maharashtra, owned by HDIL to recover debts worth Rs 40 crore. HDIL is also in the process of reaching another settlement with J&K Bank by selling some of its assets.